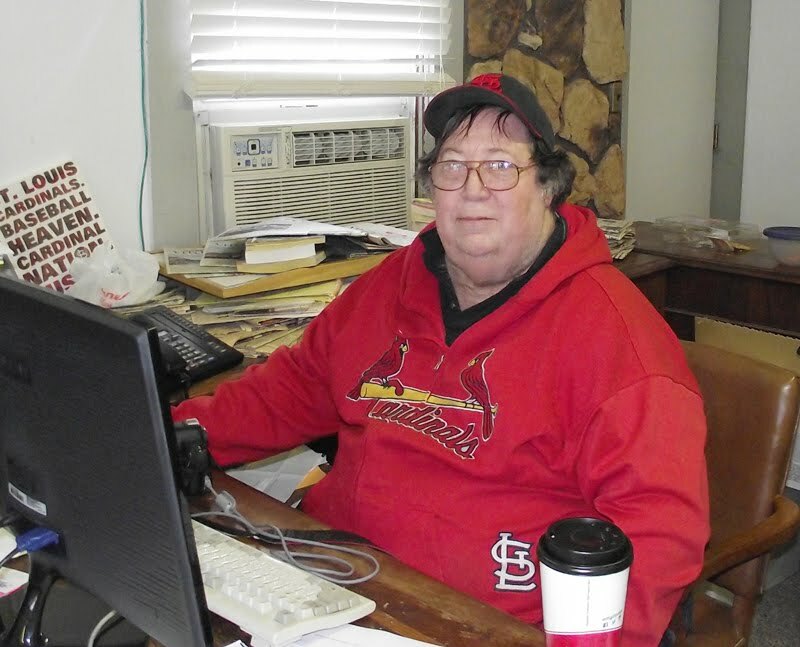 Back issues of the June 12, 2014 issue of the Times-Tribune are available. Subscriptions to the Times-Tribune are available by calling 618-667-3111, by visiting our offices at 201 East Market Street in Troy, 8 a.m. - 5 p.m., Monday through Friday, or by sending us a letter asking to subscribe. To place a display or classified advertisement, please call or stop by our offices. We are open from 8 a.m. - 5 p.m., Monday-Friday. 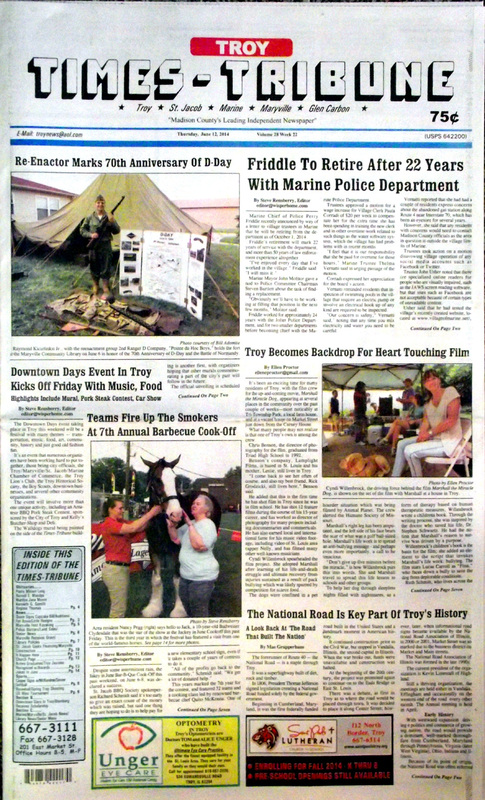 Some of the stories in this issue: Marine Police Chief To Retire After 22 Years, Downtown Days Celebration set to take off, Troy Serves as Backdrop for Up-And-Coming Movie, Jakey in June BBQ Draws a Crowd, Governor Quinn Signs Bill in Troy, Maryville Construction Permits Up, Troy Library Sets Policies, St. Jacob Seeks Financing for Village Infrastructure Projects, Maryville Grant Provides Repairs to Village Hall, Triad Softball Team Captures 2 Out of 3, Library Trustee Resigns; plus a column by Steve Rensberry about buying a Pig in a Poke, some lengthy police blotters, and a whole lot more! We have obituaries for Burnell E. Maedge, Patsy Miriam Long, Marilyn Jane Moore, Kenneth G. Semith and Virginia Thomas.